Cover Verse: A pessimist says, "The wine glass is half empty." 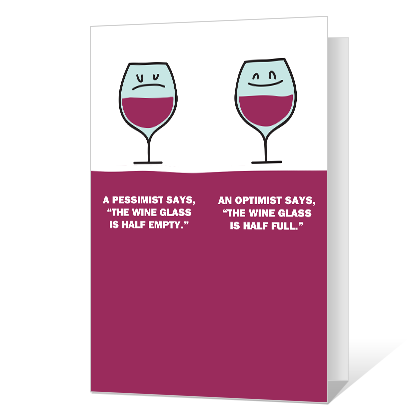 An optimist says, "The wine glass is half full." Inside Verse: An opportunist says, "Hey, look! Free wine!" Cheers to you on your birthday!